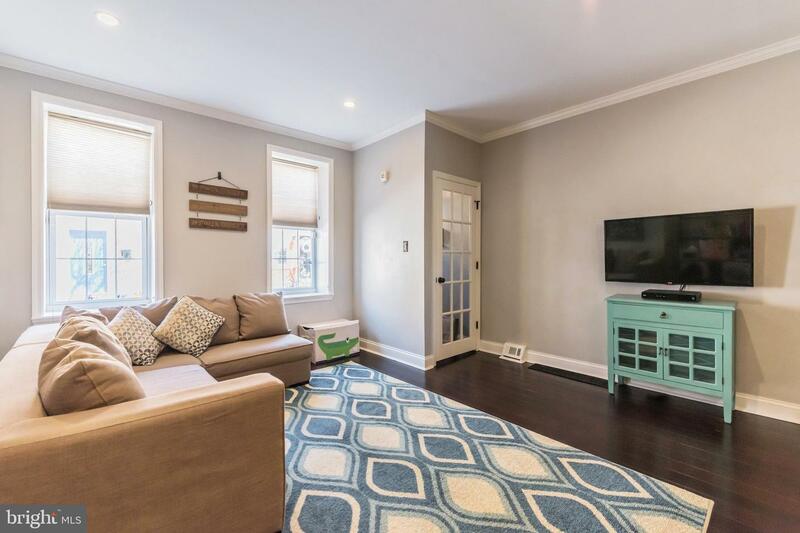 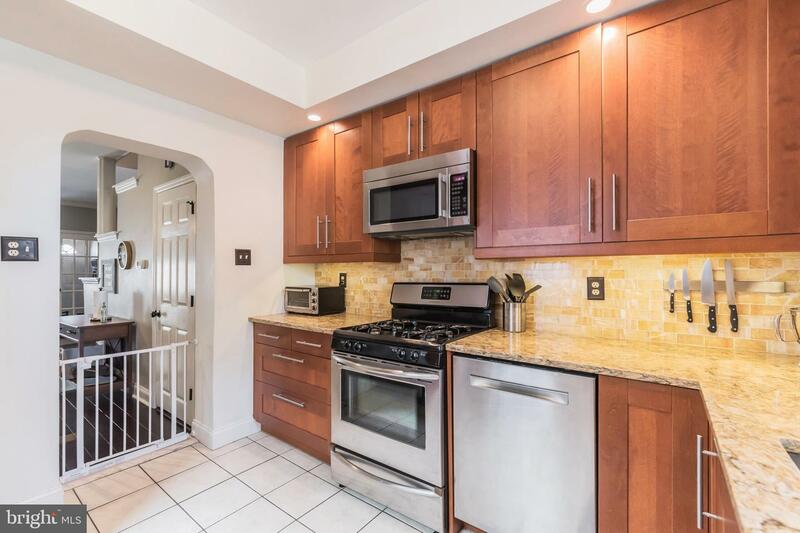 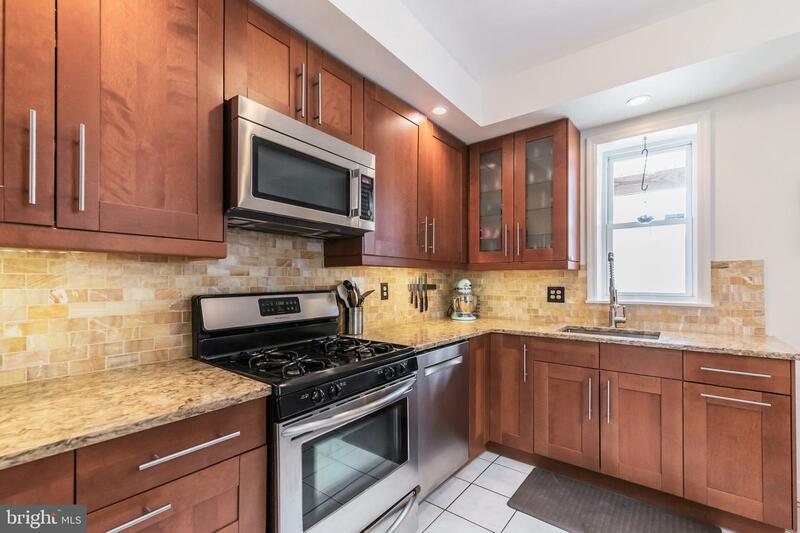 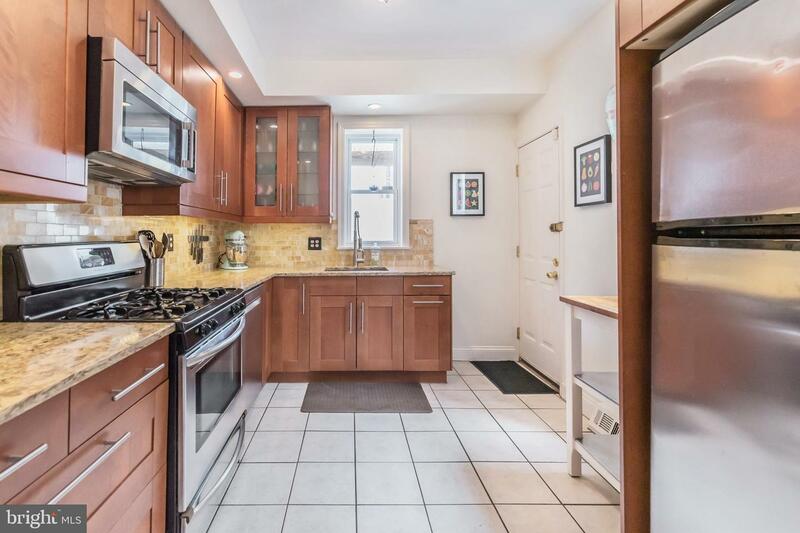 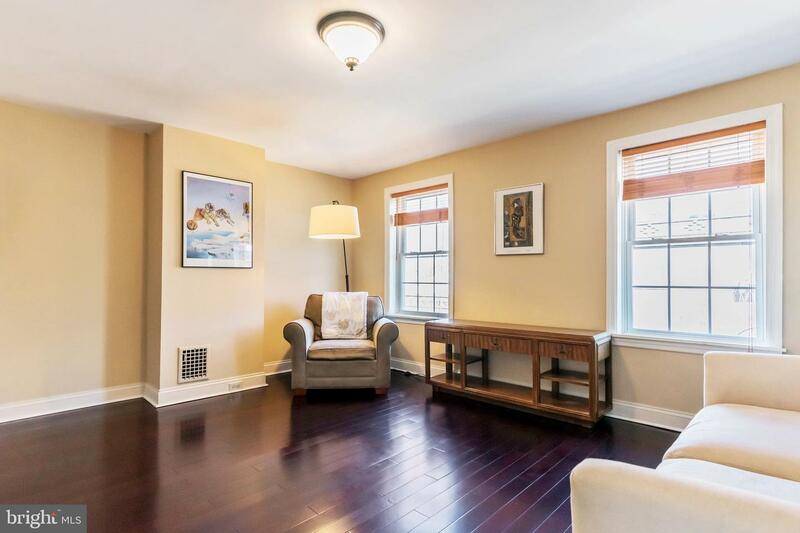 Situated on a quite block in Pennsport is this beautiful 3 bedroom, 1.5 bathroom home. 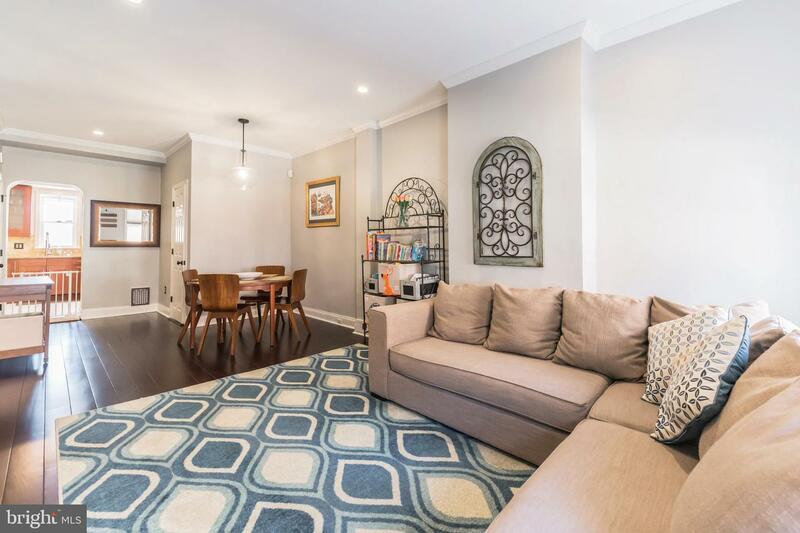 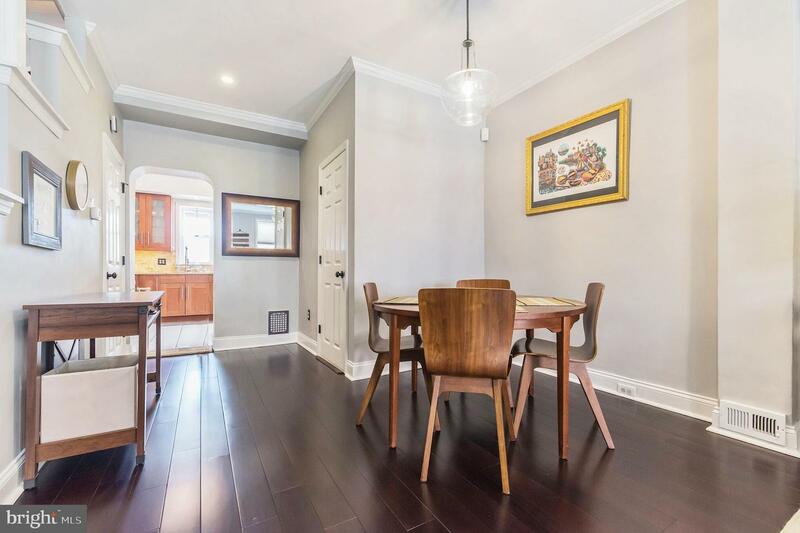 Though it has been upgraded to accommodate modern conveniences, 414 Cross Street still keeps its 1920~s character with crown moldings, tall ceilings, and hardy craftsmanship. 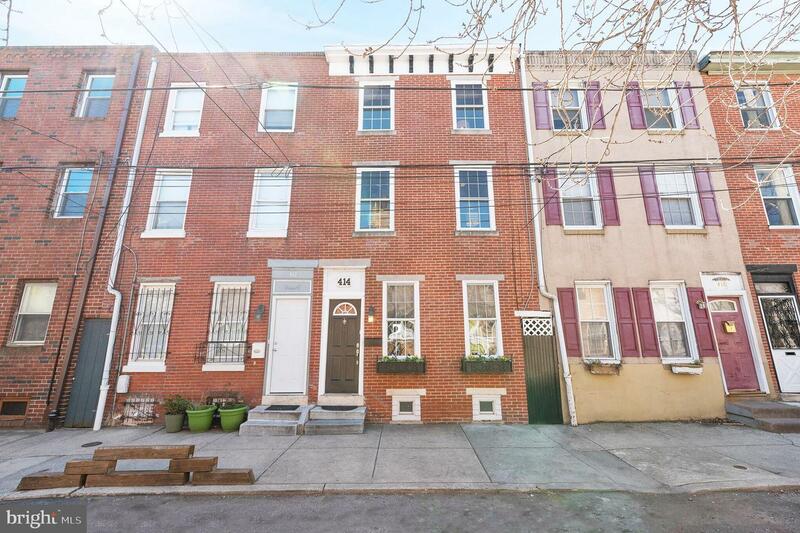 Notice how the front fa~ade is timeless with its classic redbrick, white and black trim, and flower window boxes. 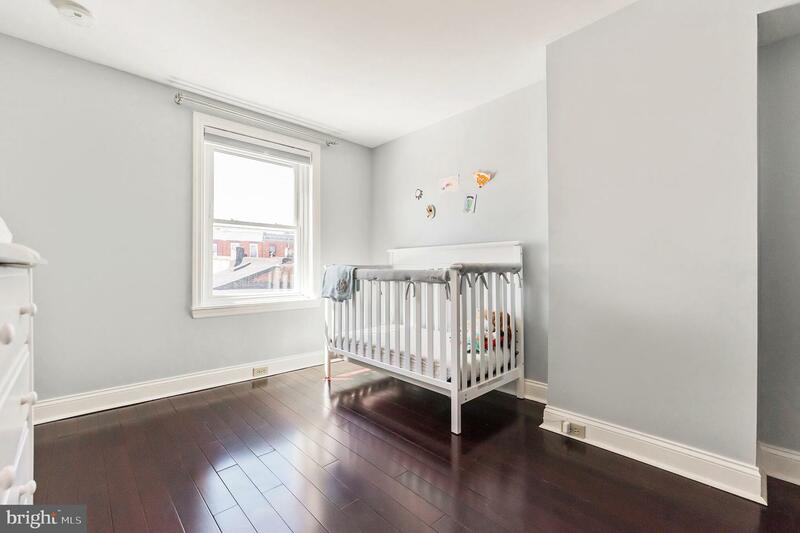 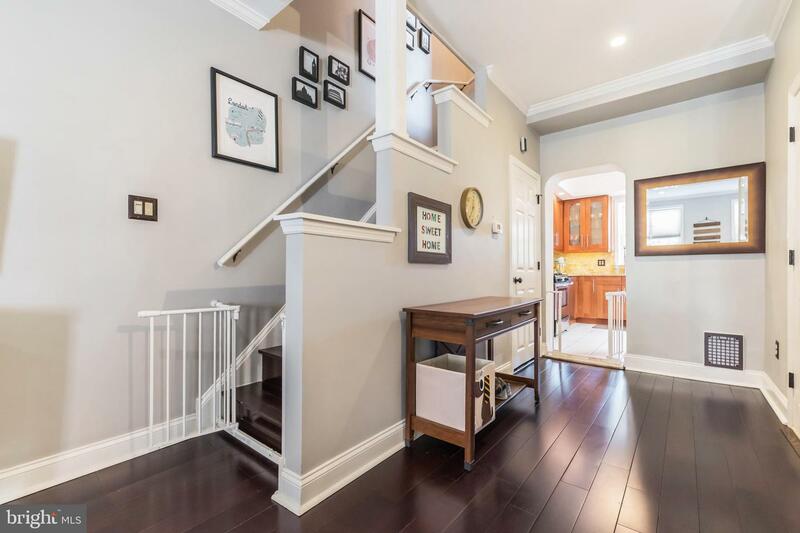 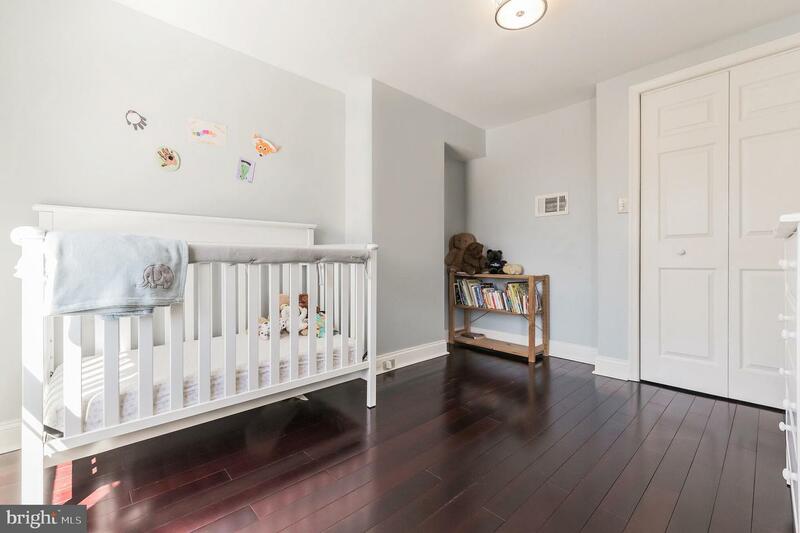 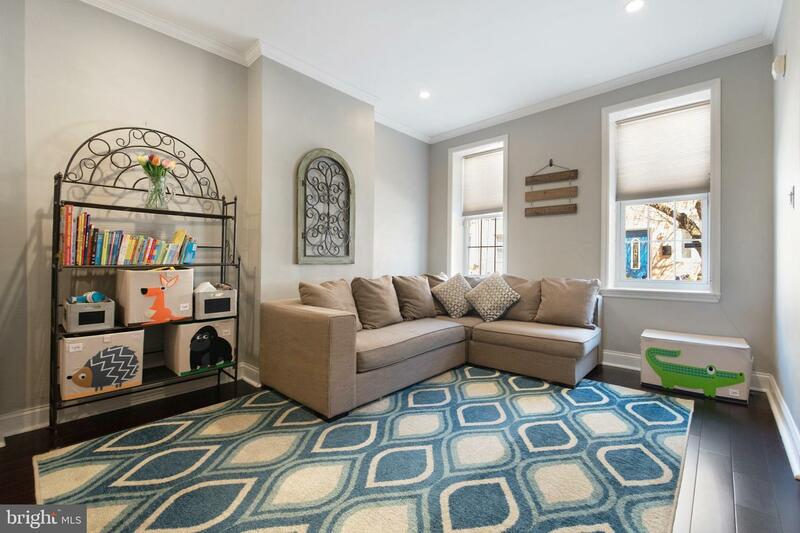 Enter to the spacious first floor boasting tall ceilings, recessed lighting, rich hardwood floors, and calming colors. 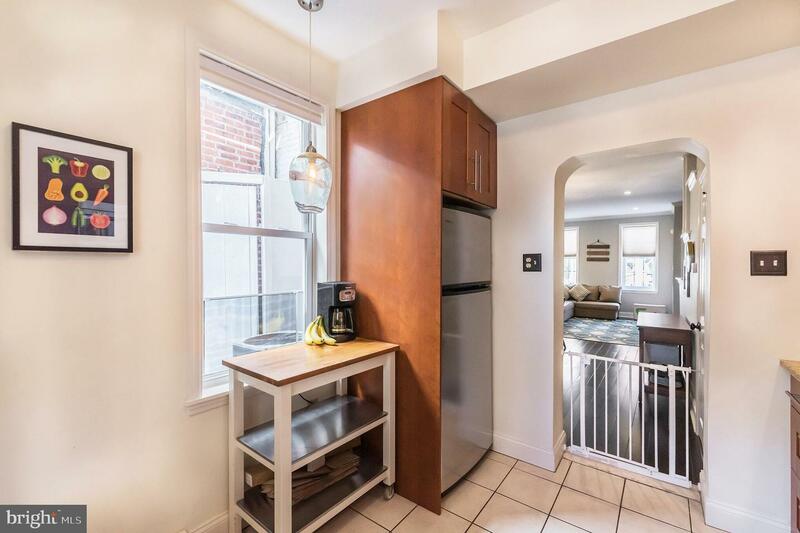 Past the dining area and the half bath is the kitchen offering tons of counter space on granite, built-in stainless steel appliances, dishwasher, stunning wood cabinets, large windows, and pendant lighting. 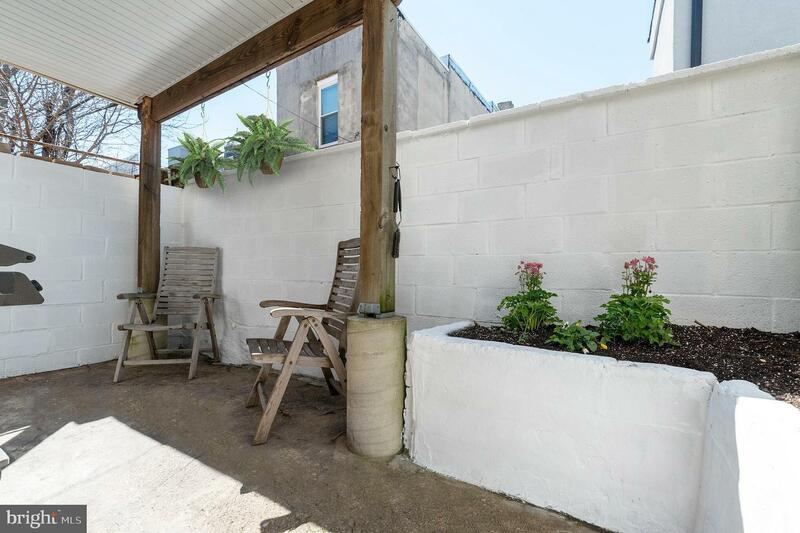 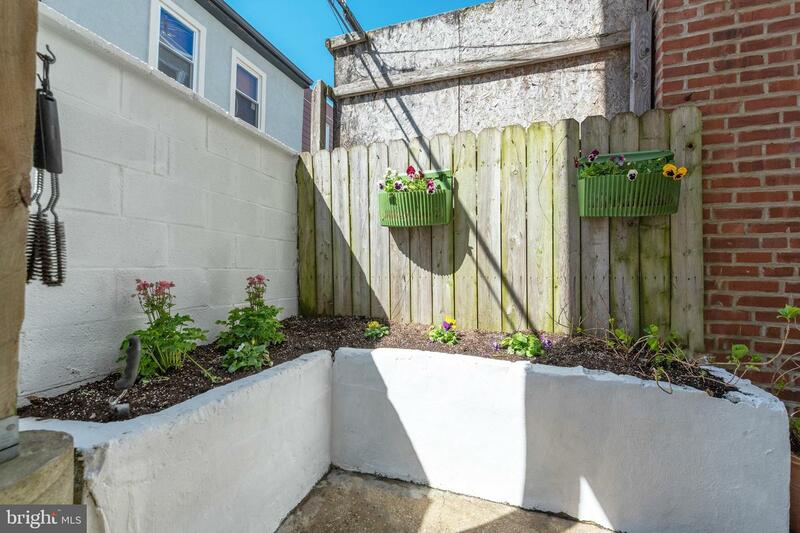 The kitchen also leads to the charming rear patio space complete with a pagoda providing shade and built-in planters for your small garden, as well as alley access to the street. 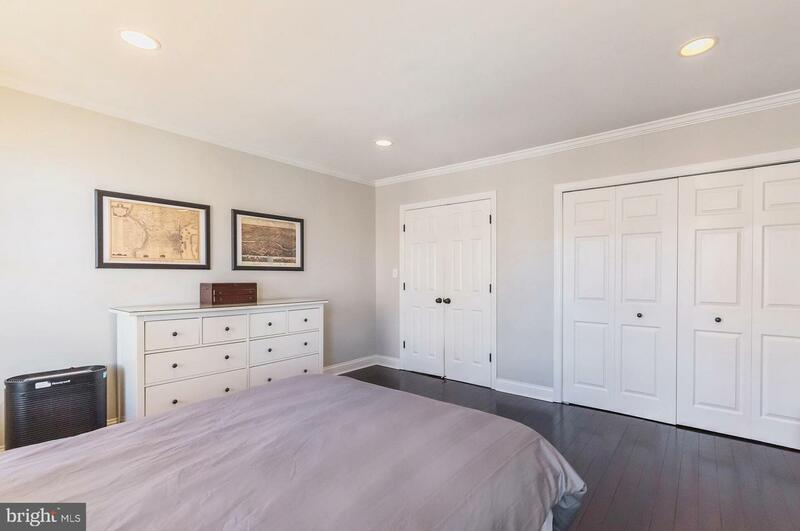 Head up the stairs to the large & light-filled master bedroom with tons of closet space. 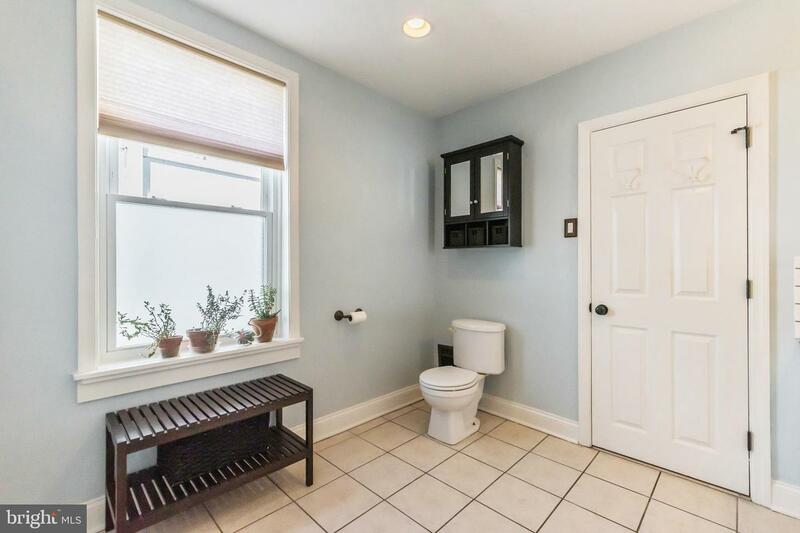 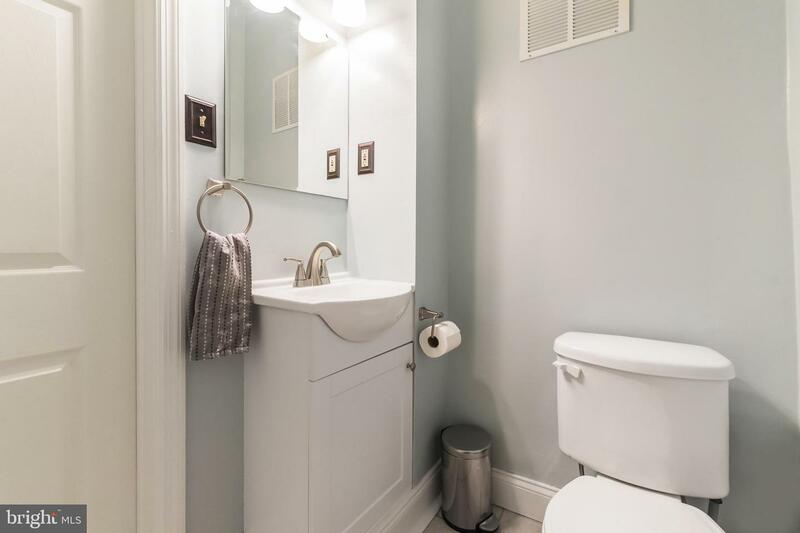 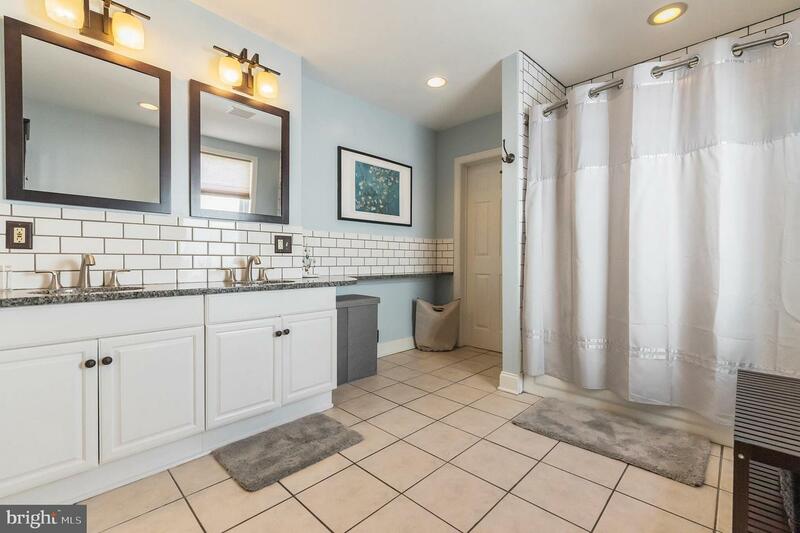 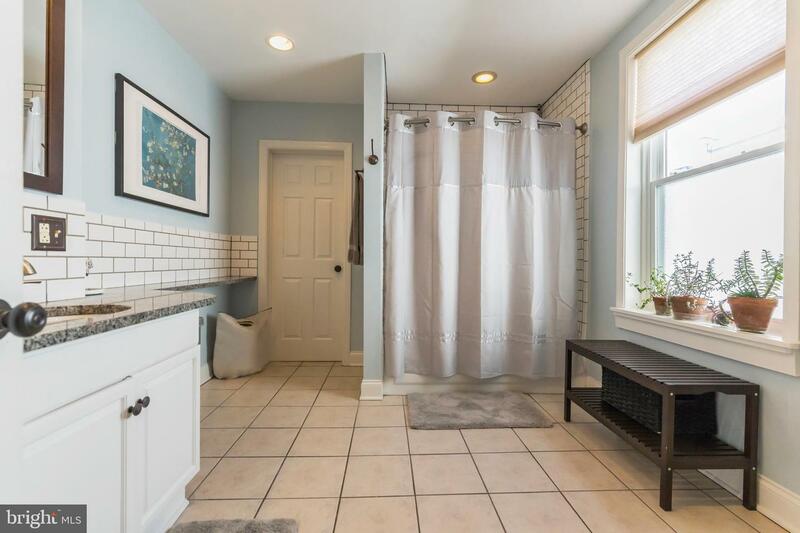 The master bathroom on this floor is huge and boasts classic finishes such as subway tile backsplash and matching subway tiling in the showers, granite counters dual vanities, and access to the laundry room. 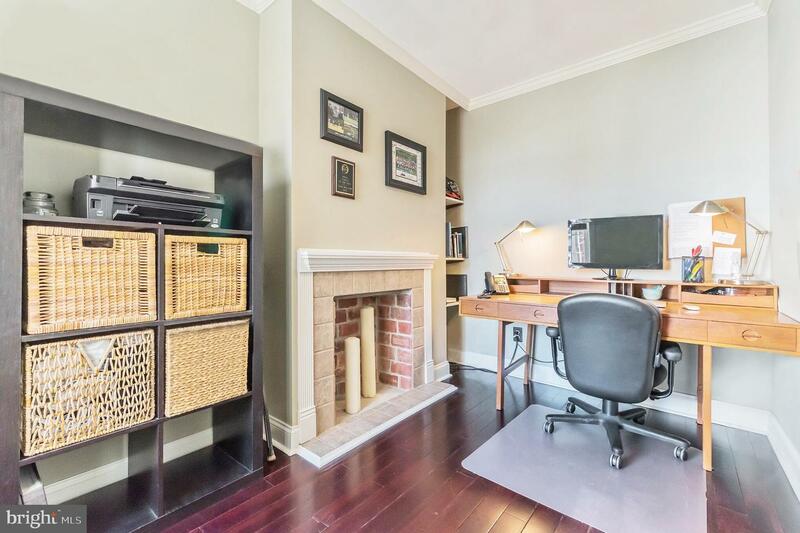 This floor also includes a flex room with a fireplace that could be used as an office, nursery, or dressing room. 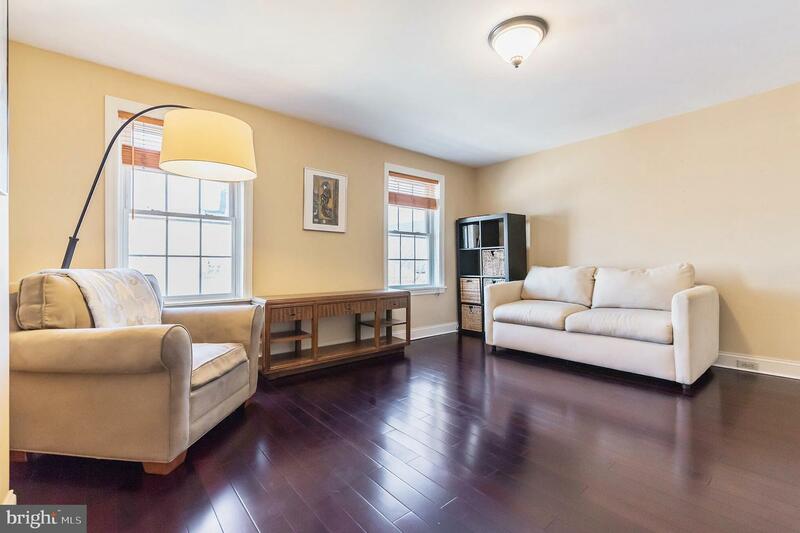 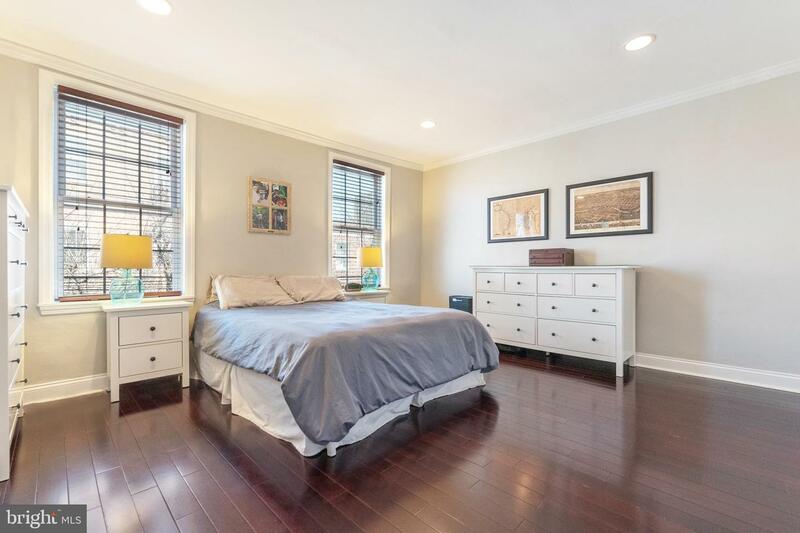 The third floor is home to two large bedrooms each with roomy closets and lots of daylight! 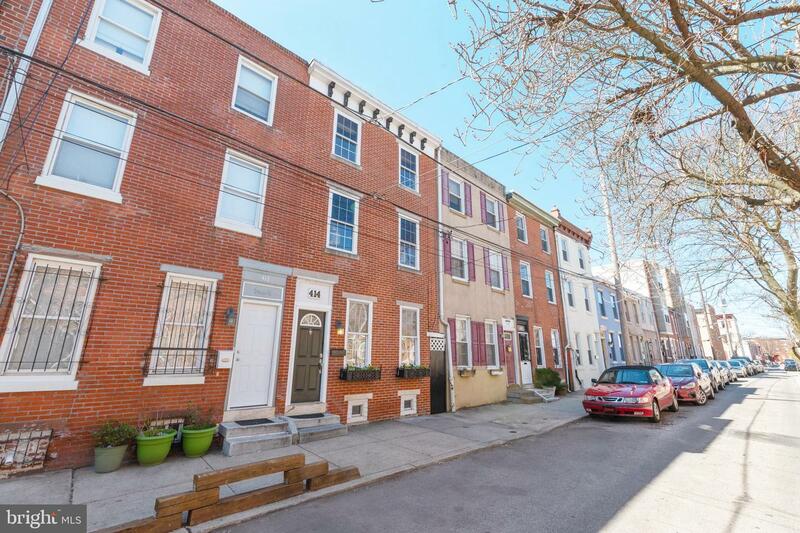 414 Cross Street is located in a fabulous neighborhood being just steps from The Dutch (a Best of Philly Brunch spot), Dickinson Square Park & playground, Grindcore coffee house, Moonshine Philly Bar, 2nd Street Brew House, a few minute walk to the UA Riverview movie theater, and easy access to I-95, S. Columbus Blvd, Washington Ave, and SEPTA on Moyamensing Ave!